Perhaps you wonder what life is all about. Maybe there is a God. But what is he like and does he have anything to say to me? Are all religions the same? Does it matter what you believe? Am I a good person? Does my life mean anything? 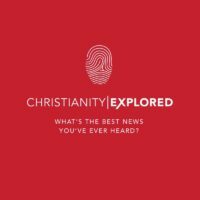 Christianity Explored gives you the time and space to consider the big questions of life and to explore the life of the person at the heart of the Christian faith – Jesus Christ. (01444 459 980) or email us (ask@cchh.org.uk) and let us know your preferred day and time of the week, and we’ll get in touch with you. The course runs for approximately 1 hour a week, over 6 weeks. 7:45 for 8pm start on Wednesdays 10th, 17th, 24th and 31st January, and 7th and 14th February, at Saltworks Cafe, 34 America Lane.